Hello all! SO....60 followers! Woo Hoo! 40 more until there's a celebration! Hope everyone had a good weekend, I know I did! I got to see my favorite NBA team, the Orlando Magic practice at the new Amway Center. I also have a serious crush on Dwight Howard, so it was a bonus watching him play ;) But enough about that, you're probably here for the opportunities. Check out what's going on this week. The contest is open to writers between the ages of 18-30 years old. They are looking for, Works of fiction and nonfiction, including short stories, novel excerpts, essays, memoirs, excerpts from book-length nonfiction, Graphic novel excerpts and comics of no more than thirty pages, Photo essays of between five and twenty images (previously unpublished), original works of fiction and nonfiction in audio theater (including performance, radio journalism, and stories read aloud), and Short films and documentaries of up to fifteen minutes. The entry fee is $20 (and with your entry you'll receive 3 months of complimentary access to Narrative Backstage) and the contest Deadline is October 29, 2010. First Prize is $1,500, Second Prize is $750, Third Prize is $300, and ten finalists will receive $100 each. The prize winners and finalists will be announced in Narrative. 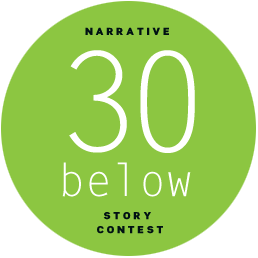 All N30B entries are eligible for the $5,000 Narrative Prize for 2011 and for acceptance as a Story of the Week. For official rules and guidelines see the link below. Glimmer Train Press seeks original, unpublished short stories about families. The category is open to all writers. The contest entry fee is $15 and the deadline is October 31, 2010. 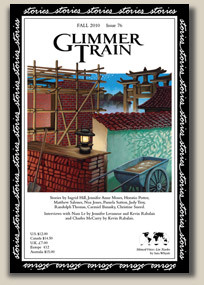 Prizes are as follows: 1st place wins $1,200, publication in Glimmer Train Stories, and 20 copies of that issue. Second place: $500. Third place: $300. For more information click the link below. We're an internet media company, and we're looking for bloggers. In short, we want to pay people on a post-to-post basis to write for one or more of our media properties. Each blog post will likely require some research, and will average between 500 and 750 words. Blog posts are expected to be written in correct English, with no spelling or grammar mistakes. We currently need blogs written within the following niches: apparel and fashion, automotive, kitchen, musical Instruments. I am in need of Mechanical and Electrical Engineering oriented bloggers, preferably with past experience at Engineering/Technical blogs/websites. Startup company looking for a health and wellness oriented writer/blogger. You must live and breathe the stuff and be able to show a history of independent and opinionated writing that is both easy and interesting to read. Just a few more things. Be careful when applying to jobs online and don't forget about The Black Fox Fiction Contest! Good Luck and Happy Writing!